Seliena Coyle studied Jewellery and Silversmithing at Duncan of Jordanstone College of Art (Dundee University), graduating with a BDes (Hons) in 1993. She went on to complete a Masters of Fine Art in Jewellery and Silversmithing at Indiana University, Bloomington, Indiana, graduating in 1998. The Ireland of 2013 is a much-changed landscape both politically and economically and through her work, Coyle makes a deliberate attempt to construct a new contemporary Irish aesthetic. 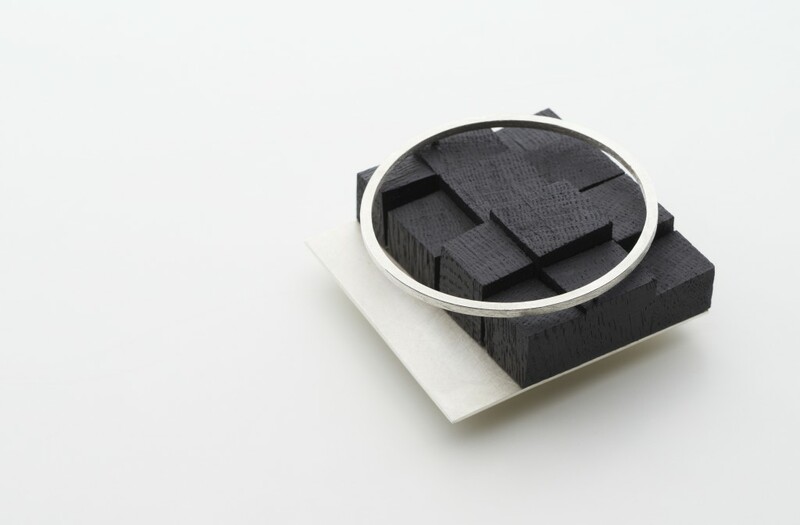 Her current body of work is reflective of a uniquely Irish landscape and utilises a material indigenous to the country, bog oak. Research of the national collections of Bronze Age artefacts in combination with the physical nature of the material has also engendered her work, which is contemplative without relying on sentimentality or cliché. Ancient jewellery types such as the Torc, Lunnula, Sun Discs and ear-spools have influenced both the form and function of her jewellery pieces which, although unashamedly Irish in character, are nonetheless compatible with contemporary practice. Coyle’s work has been exhibited extensively. Most recently, she curated the exhibition and project, CultureCraft – Culture in the Making in which 36 of Ireland’s foremost craftspeople present a piece made in response to the question of culture and identity. Showcased in Derry (2013), CultureCraft – Culture in the Making will tour to the National Craft Gallery in 2014.